It is the last day of October, the end of the rainy season, and a mirage is threatening to put ablaze the dry vegetation around me. The swirling cloud of dust blown by the wind conceals the vulture atop a dead tree that I’ve been trying to photograph in the last 30 minutes or so. I sit on the rock again, mindful of my surroundings, lest I’ll get back to the base with a venom-laden extremity. The sun is high, my shirt is drenched in sweat, my throat clamor for a drink, and I’m about to give up. Yet, I’m not ready to raise the white flag, because to tell you the truth, there’s nothing in the world that I’d rather be right now than here. Over the years, as I travel farther and further into more exotic places, I’ve gradually evolved into a person who refuses to take monotony hands-down. Let’s face it. Life can be a tad boring sometimes. And for me, travelling is just a way of killing boredom. But what is interesting about embarking on a journey is that you always end up with something unexpected, and you realize there’s really more to it than just forcing yourself out of life’s routines. Eventually, it becomes your routine: saving for a trip, planning for a trip, going on the trip, recovering from the trip. It’s a vicious cycle, an addiction that I won’t allow myself to kick. When I travel, my awareness of the world is heightened in a way that I am not able to experience in my daily existence. Allow me to use this cliché: traveling is my window to the world. 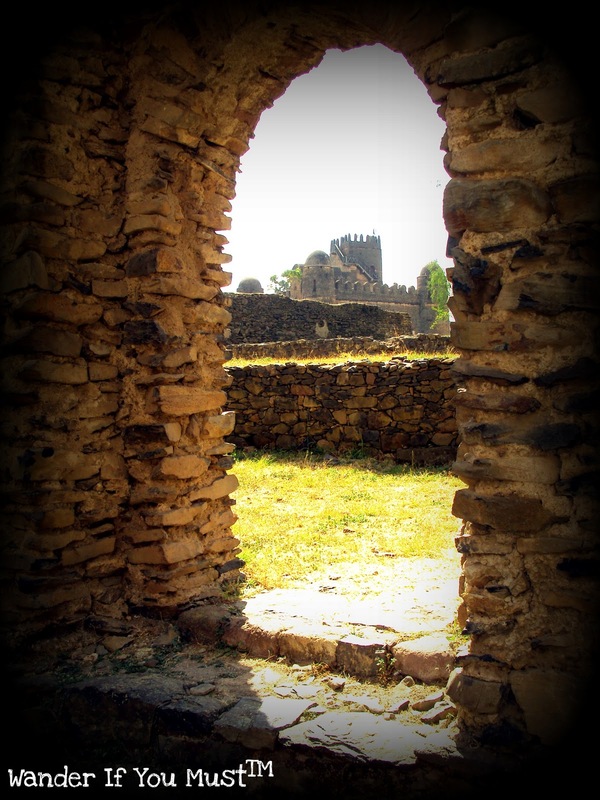 Royal Enclosure, Gondar Ethiopia: The capital of Ethiopia 1632 to 1855, Gondar houses the remains of castles and palaces that stand within a Royal Enclosure, also popularly known as the Camelot of Africa. 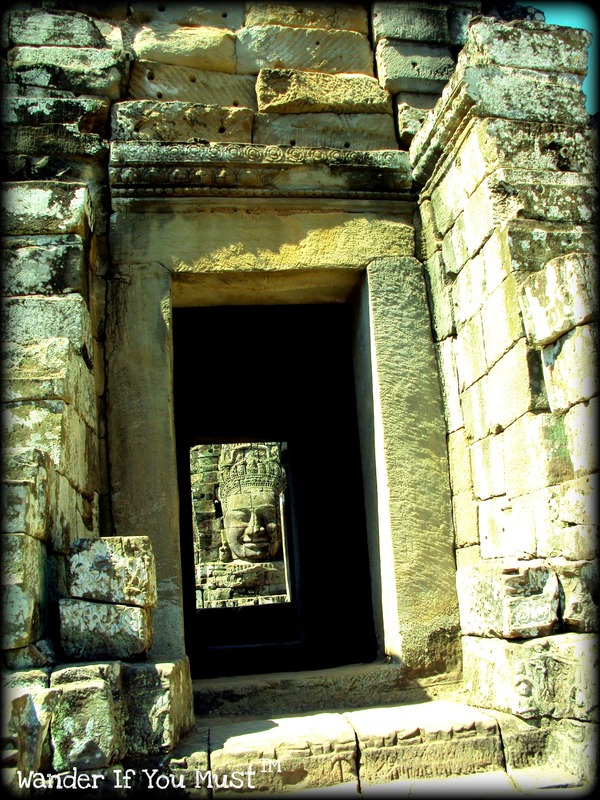 Bayon Temple, Angkor Wat, Cambodia: The last temple to be built in Angkor, Bayon depicts the rich ancient Khmer culture, which embraced mythological and historical influences. Lalibela, Ethiopia: Lalibela’s monolithic or rock-hewn churches is the best affirmation of Ethiopia’s strong spiritual foundation. 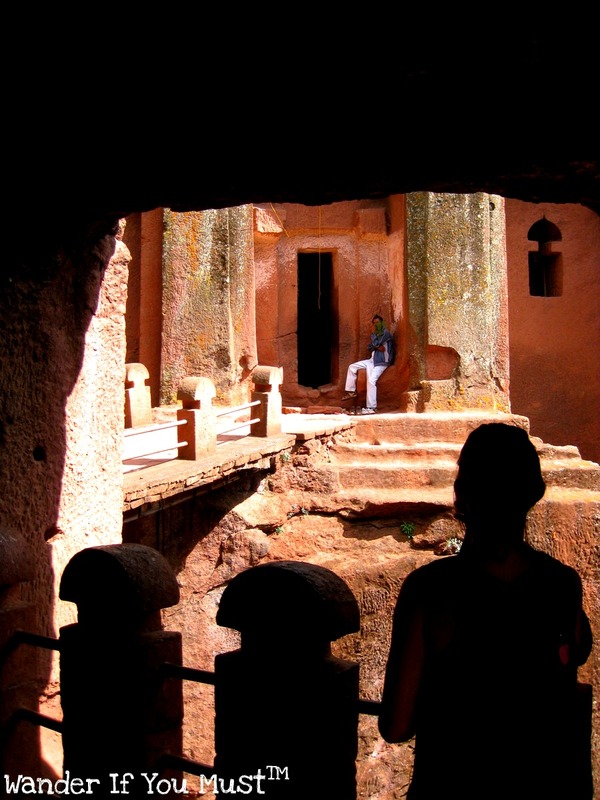 This photo was taken inside St. George Church, the most popular of the eleven churches in Lalibela which are all carved from big rocks, is the “Eight Wonder of the World.” According to Ethiopian cultural history, the church was built after King Gebre Mesgel Lalibela received instructions from St. George and God in his dream. 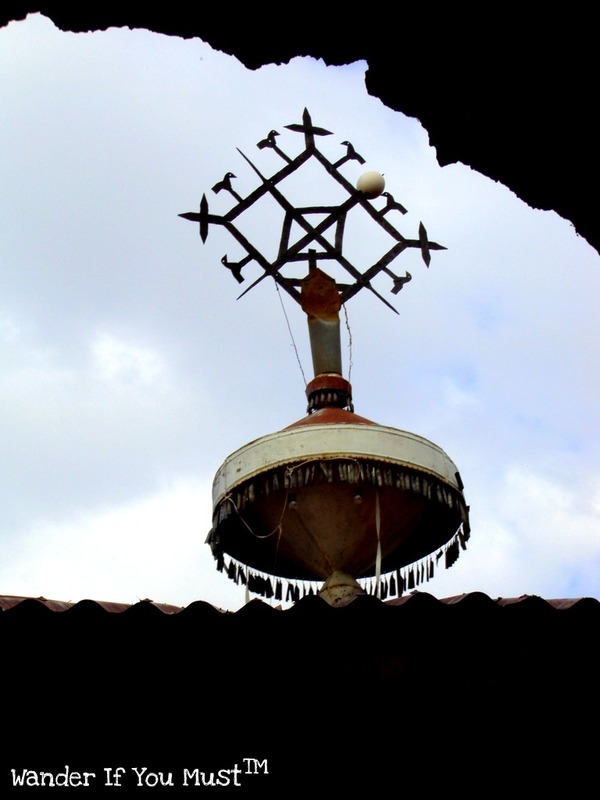 Lake Tana Monasteries, Ethiopia: Among the 37 islands scattered in lake Tana, 20 house churches and monasteries where you can find ancient treasures of the Greek Orthodox religion, which is just one of the many religions that Ethiopians and foreigners in Ethiopia are practicing. Ethiopia is a good example of harmony in diversity. It is a country of different religions, ethnic groups, and races. Toul Sleng Genocide Museum, Phnom Penh, Cambodia: The notorious secondary school that was converted to the S-21 prison by the Khmer Rouge was a witness of atrocities towards innocent Cambodians and expatriate supporters. 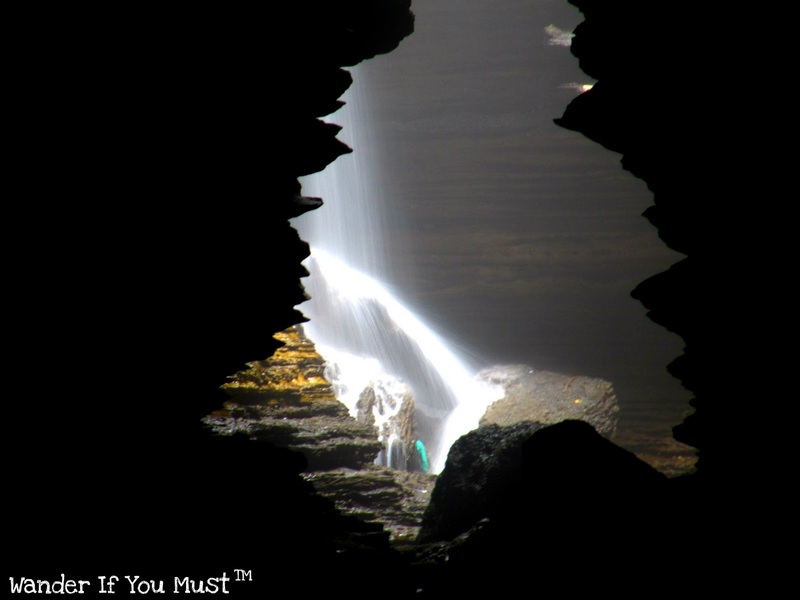 Davi’s Falls, Pokhara, Nepal: The mystery that surrounds Davi’s Falls is still unfathomable, especially by a Swiss trekker in Nepal, who saw his wife helplessly swept by the currents of the Fewa Lake, down to the waterfall into oblivion. The body of Mrs. Davi was never recovered. 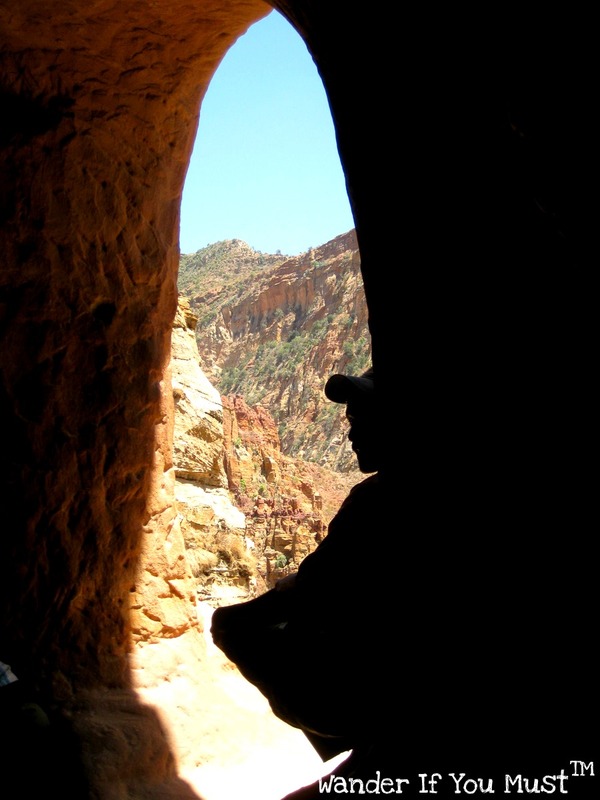 Cliff Churches, Tigray, Ethiopia: Dotting the “grand canyons” of Tigray in the northern part of Ethiopia are 125 rock-hewn churches located at the top of cliffs and hills, which are often accessible by climbing 25 meters up and down a steep cliff with a rope. 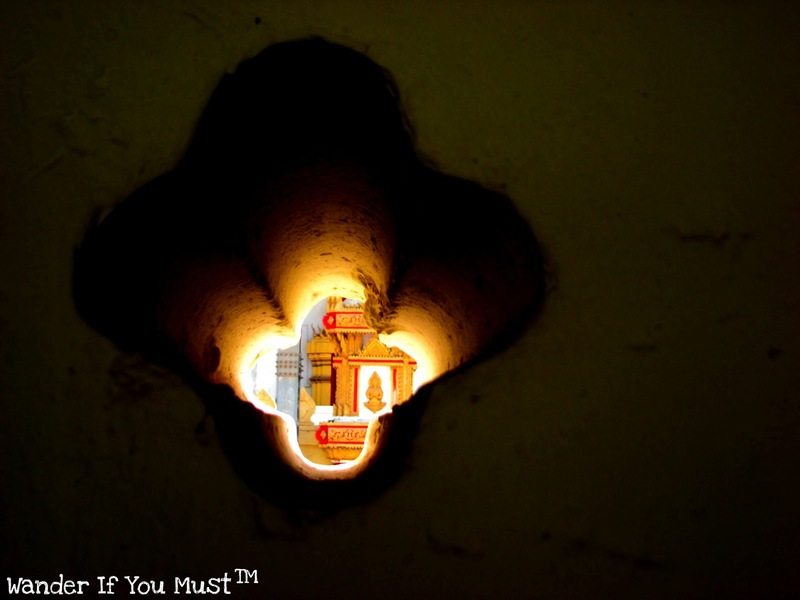 Pha Tat Luang, Vientiane, Laos: Peering through Pha Tat Luang, the golden-covered Buddhist stupa, which has become Lao’s national symbol. Each time I set foot on new ground, I try to experience it more intensely, so when I leave I take with me not only memories but also a different person with a whole new perspective. This post was inspired by Magnificent Monday introduced by Jim of Holes in My Soles. The theme for this week is doors, windows, and archways. To join this week’s Magnificent Monday, paste your link in the comment box below. Leave a comment to show you care. It’s good etiquette to edit into your article a reference to this article to let your readers know. Enjoy! Wonderful post and selection of photos for Magnificent Monday. You are so right that traveling is a window to the world. Blown away with these shots Reiza, even though I very nearly posted up some of mine taken at many of those places. I think you really opened some ''windows"
Ok ok I concede. You're the frame-within-a-frame maestro! All the photos here are wonderful and mysterious as the places they were taken. My favorite is the last, the one from Laos. So beautifully yellow, and the opening is small enough just to give a hint to what's inside. Such a tease! I wish I could afford the time and money to travel as such. I will just have to live vicariously through your travels!! Cheers, Jenn. Cathy, thanks. I love your photos of the pillars as well. Reminds me of the old Roman empire. Thank you, Jim. For some reason, Ethiopia seems to be a place to take good "framed" photos. Beautiful selection of shots! 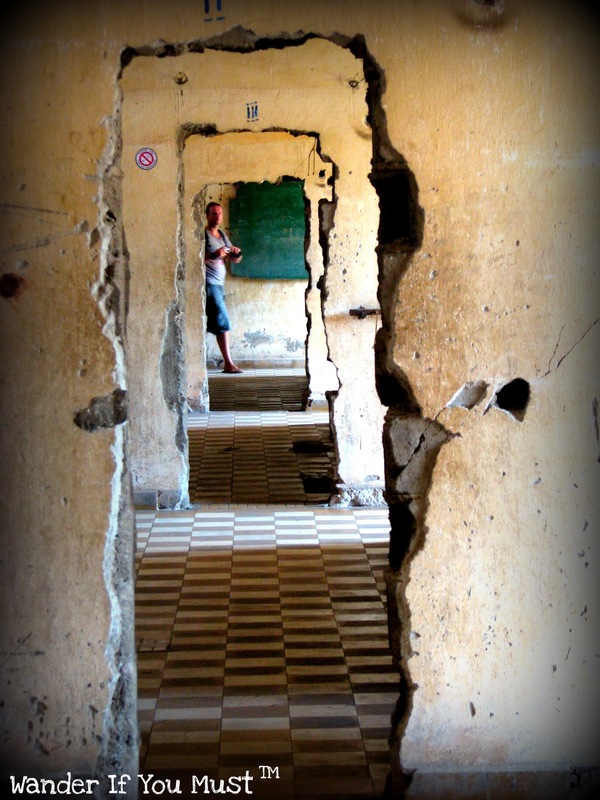 Great capture at the Toul Sleng; such a grim place! Yeah, Nancie, Toul Sleng is very depressing. I didn't even want to take photos of it at first. Thanks, Claire. I'm flattered, since I consider you to be a pro photographer judging from the wonderful photos you took of your travels. hi…very nice places to share. i was followed 89 number. folback please. thank. What wonderful photos you have there! I've only been to Cambodia. Envy you so much for being in Africa! LOL Have you been to Kenya already? Great Pics plus info n nice topic selection ..never knew these places ..really grt ! !